Maybe it’s time to switch from flying solo to building your dream team. If you’re inundated with emails and inquiries, bogged down by your never-ending to-do list, and frustrated by all of left-brain details you just haven’t had a chance to figure out, it’s probably a sign that you could use some help. You’ve become the bottleneck. Hiring support will help you breakthrough to that next level of success. Whether you’re hiring an assistant to help you with day-to-day operations, a graphic designer to uplevel your brand, or an accountant to file your taxes, you need to find the right candidate, delegate and make clear requests, and manage your team. But it can feel intimidating and overwhelming to make that commitment. Learn how to map out your creative cohorts to ensure you have the right support in place for growth (successful entrepreneurs don’t go it alone). 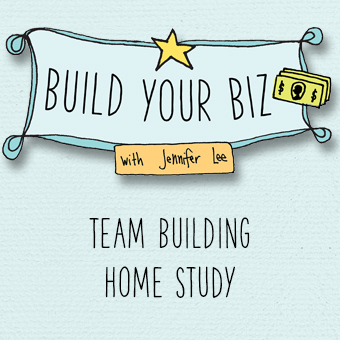 Let’s get going with the Build Your Biz: Team Building Home Study! The perfect person to clean Bindi’s meditation space was right under her nose! If you’re just starting out in your business, hiring help may feel far-fetched, especially if you’re cash strapped. But that doesn’t mean that as a newbie you can’t benefit from understanding how to delegate (in fact there are creative ways to find help even when you don’t have a budget). 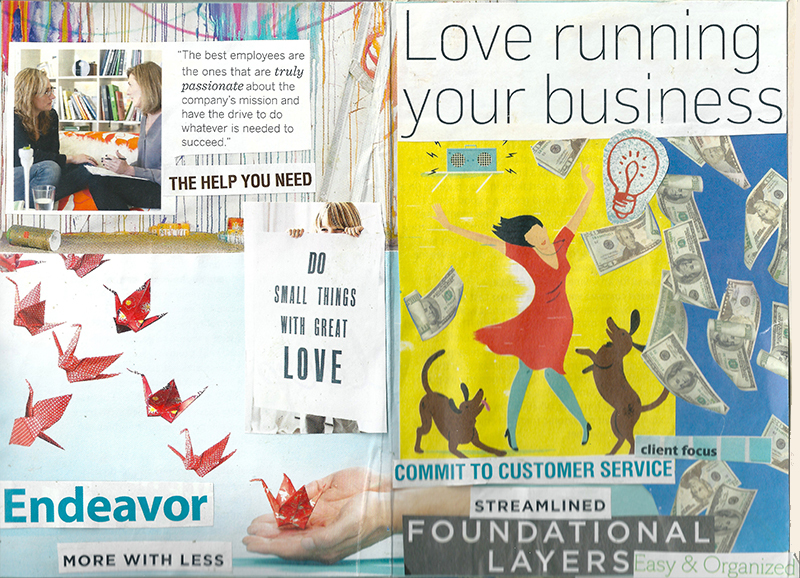 Finding the right partners can be just the thing you need to move your business forward. If you’ve been stuck getting important tasks done because you don’t have the knowledge, time or expertise, let this affordable module give you the insider tips on how to find help so you can focus on what you love to do. If you’ve been in business for awhile, chances are you have (or will soon enough) reached a brick wall because you’re growing too fast, you’ve taken on too much, or you’re burnt out from doing too much. Even if you’ve hired a few different people in the past, perhaps a VA or a graphic designer, that doesn’t mean you feel totally confident yet with delegating, giving feedback, managing conflict and ultimately being a leader of a team. Yes, it’s important to get the right people in place, but it’s just as important to retain them and know how to bring out their best in service of the bigger picture. In this module I provide never before shared inside peeks into what I’ve used with my team over the years. How is this Team Building module different from your other courses? The Team Building Home Study module is part of the Build Your Biz suite of modules. These Build Your Biz Home Study modules are a good fit for creatives looking to grow an existing business. You already have a sense of what your business is and who you serve but you’re struggling with making sales, you’re uncomfortable marketing yourself, you’re frustrated with your finances, you’ve been stuck in the same place for awhile or you’re burnt out from doing too much. The Team Building module specifically helps you with identifying where you might need to outsource, how to find the right people, and how to bring out the best in your team. If you’re brand new to your business, the Right-Brain Business Plan® Home Study is a good place start because it will help you lay the foundation. Then you can dive into the Build Your Biz Home Study modules once you have a sense of your overall business. The Right-Brain Business Plan® Home Study helps you get your business plan done in a creative and visual way. You’ll get clear on your big vision, your perfect customers, your general marketing plan, high-level financial goals, and more. There is some slight overlap between this Build Your Biz Team Building module and the Corralling Your Creative Cohorts section of the RBBP home study, however, the Build Your Biz Team Building module goes much more in-depth around what exactly to outsource, company culture, team development and more.